One of the items I carry in my geocaching geocching bag is a cache repair kit. It contains supplies commonly used in geocaches that are not very expensive. 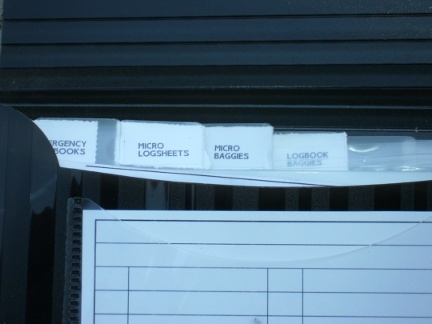 It saves the cache owner from making a maintenance trip out to the cache for something as simple as a missing log or a ZipLock bag to place the log sheet in. I got the idea for a geocache repair kit from a Youtube video posted by Andy "HeadHartHat" Smith, a geocacher with Michigan ties now living in North Carolina. My kit uses an accordian style folder often used for bill or coupon organizing (the tabs were preprinted for the 12 months of the year). I made labels with a label maker my ex-wife left behind when we divorced. 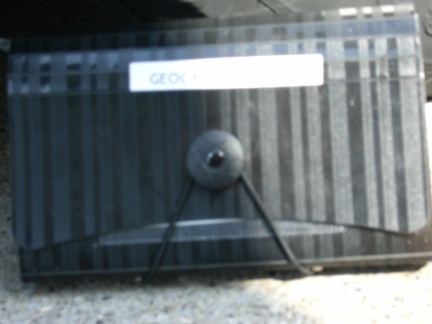 Many of the paper items were obtained as PDF files from the Geocacher University website.